Register Log In ECN Forum Forums Violation Photo Forum Does This Look familiar? I'm in IT now but have a strong electrical background. 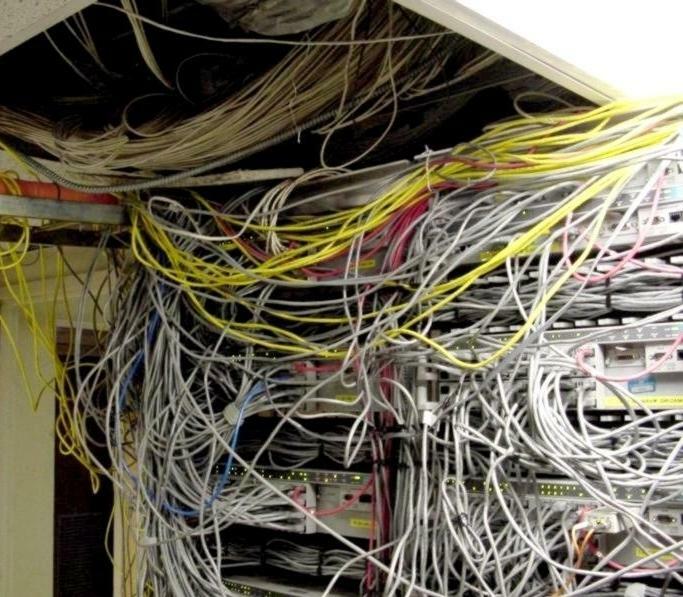 Pictures like this one make me sick and I roundly condem my IT fellows who pull the kind of junk. I've stood at distribution frames for hours dressing cables just so I could trace a single run. At least, when I leave, the next guy stands a chance. Just unplug a few (dozen) of them, then step back & watch the fun. Even better, get a first period apprentice wireman and instruct him to clean it up.